BANGKOK (Reuters) – Thailand will introduce economic measures worth about 20 billion baht ($629.52 million) to spur its slowing economy, the finance minister said on Friday. The measures will be aimed at boosting consumption, tourism and helping low-income earners, and will be submitted to cabinet within two weeks, Apisak Tantivorawong told reporters. Thailand’s economic growth is expected to slow to about 3 percent in the first and second quarters of the year, Apisak said, cooling from 3.7 percent in the last quarter of 2018. Official first-quarter gross domestic product (GDP) will be released on May 21. 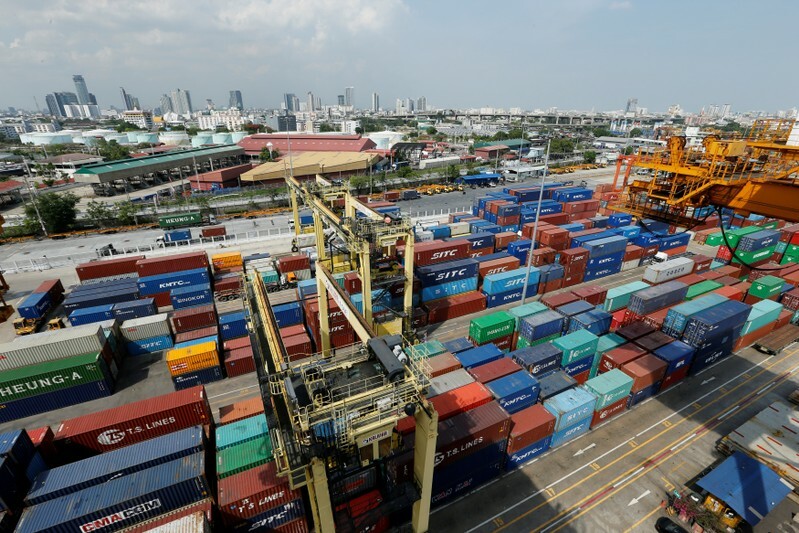 Thailand’s trade-dependent economy has been affected by slowing global demand, while the country is waiting for the next government to be formed after a March 24 general election. TOKYO (Reuters) – Japanese Finance Minister Taro Aso said on Friday there was no change in the government’s stance that it would go ahead with a planned sales tax hike in October, barring a big economic shock on the scale of the collapse of Lehman Brothers. 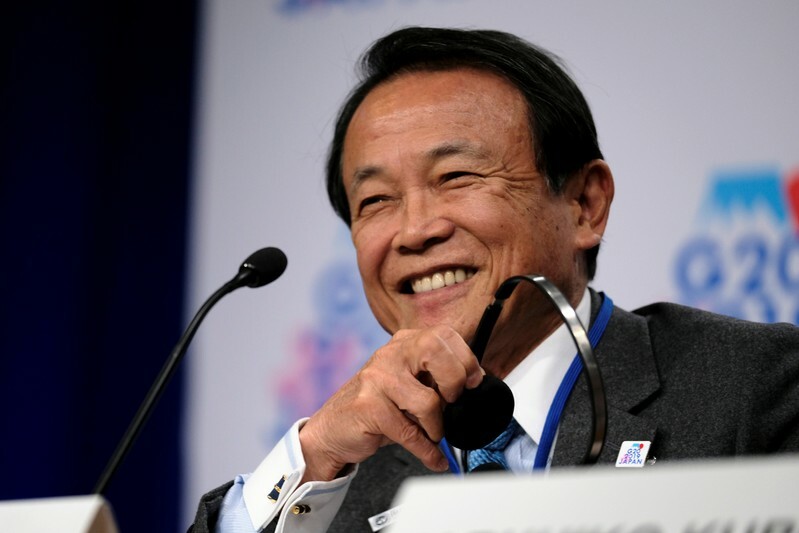 Aso made the comment a day after a close aide of Prime Minister Shinzo Abe told a TV program that the planned tax increase may be postponed depending on the results of the central bank’s next tankan business survey due out in July. The tax hike to 10 percent from the current 8 percent would secure stable financial resources to pay for the bulging cost of social security for all generations, Aso told reporters after a cabinet meeting. WASHINGTON (Reuters) – U.S. banking regulators on Thursday proposed a rule that would allow custody banks to exclude deposits with central banks from a stringent capital requirement. When finalized, the rule would allow those banks to exclude such central bank deposits from the supplementary leverage ratio, which directs each bank to hold more capital against its assets. SAN JUAN (Reuters) – A judge on Thursday ordered banks to comply with a request from Puerto Rico’s federally created financial oversight board to disclose customer information related to certain debt issued by the bankrupt U.S. commonwealth. The ruling boosts a potential effort by the board to recover billions of dollars in payments made to bondholders should a federal court hearing Puerto Rico’s bankruptcy cases choose to invalidate disputed debt issued by the government and its agencies. U.S. Magistrate Judge Judith Gail Dein’s order said “good cause exists” to grant the board’s motion, which seeks to compel banks to submit bondholder names and addresses along with Puerto Rico debt payments the bondholders received between 2013 and 2017. 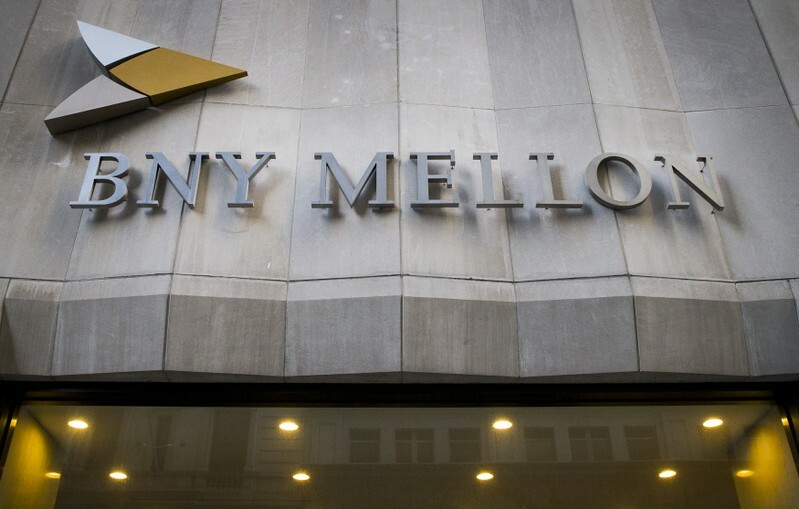 The Bank of New York Mellon, Bank of America Corp, JP Morgan Chase Bank, and U.S. Bank objected to the board’s request last week, citing concerns over disclosing confidential customer information, as well as the cost and ability to produce a large amount of information by the April 19 deadline set by the board. The judge ordered the banks and the board to submit a proposed confidentiality agreement by April 23 and set rolling deadlines of April 25, April 30 and May 8 for the banks to submit bondholder information. She rejected requests by the banks to be reimbursed for their costs and for indemnity for claims that could result from compliance with the order. It was unclear whether the banks will appeal. Attorneys for the banks either declined to comment or could not immediately be reached. The quest for bondholder information is related to an attempt by the board and some creditor groups in the bankruptcy to have the federal court void more than $6 billion of defaulted general obligation (GO) bonds sold in 2012 and 2014, as well as debt issued by Puerto Rico’s Public Buildings Authority and bonds sold for the island’s Employees Retirement System. The board filed bankruptcy for the island in May 2017 to restructure about $120 billion of debt and pension obligations. 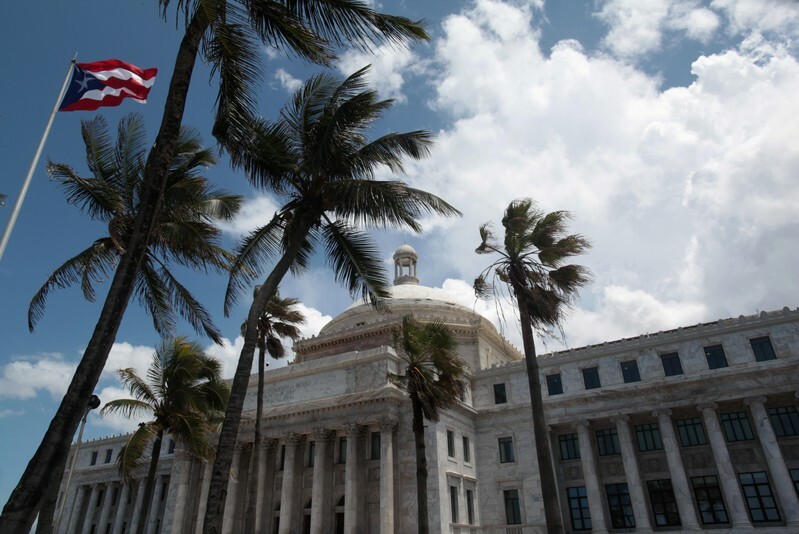 But it did not seek to void the GO bonds on the basis they were issued in violation of debt limits in the Puerto Rico Constitution until January 2019, just months before the statute of limitations on bringing such actions runs out in early May. U.S. District Court Judge Laura Taylor Swain is scheduled to take up the board’s motion to extend that deadline at an April 24 hearing. 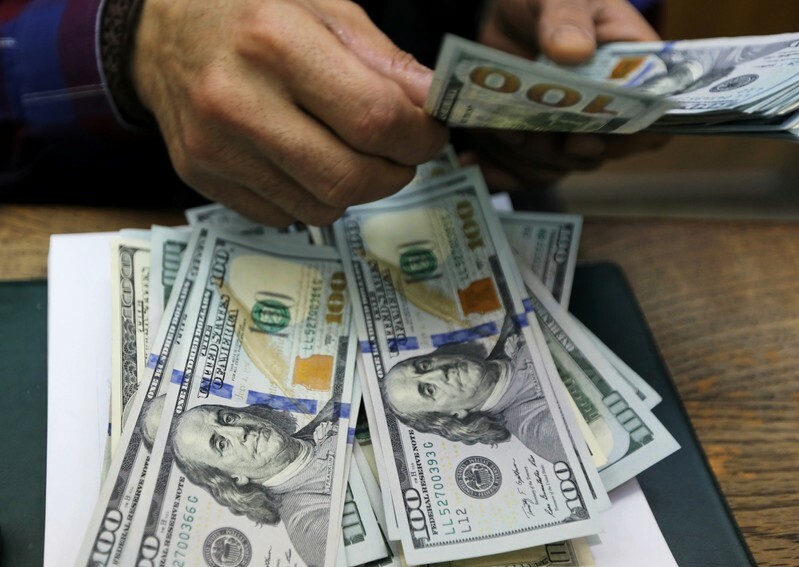 TOKYO (Reuters) – The dollar steadied against a basket of currencies on Friday after hitting a 2-1/2-week high overnight as data pointed to a sturdy U.S. economy, while the euro was dented by weak manufacturing activity in Europe. Many financial markets were closed for the Good Friday Easter holiday. Currency markets remain open but volume is expected to be light. The dollar index, which measures the greenback against a basket of six other major currencies, rose to as high as 97.485 overnight, its highest level since April 2. It last traded at 97.392 on Friday, down 0.1 percent on the day. U.S. retail sales increased by the most in 1-1/2-years in March as households boosted purchases of motor vehicles and a range of other goods, the latest indication that economic growth picked up in the first quarter after a false start. The economy’s strength was reinforced by other data on Thursday showing the number of Americans filing applications for unemployment benefits dropped to the lowest in nearly 50 years last week. “In addition to the recent upticks in Chinese data, the latest U.S. retail sales numbers have helped to ease investor worries about the global economy. It’s pretty quiet trading due to the Easter holiday, though,” said Masahiro Ichikawa, senior strategist at Sumitomo Mitsui DS Asset Management. 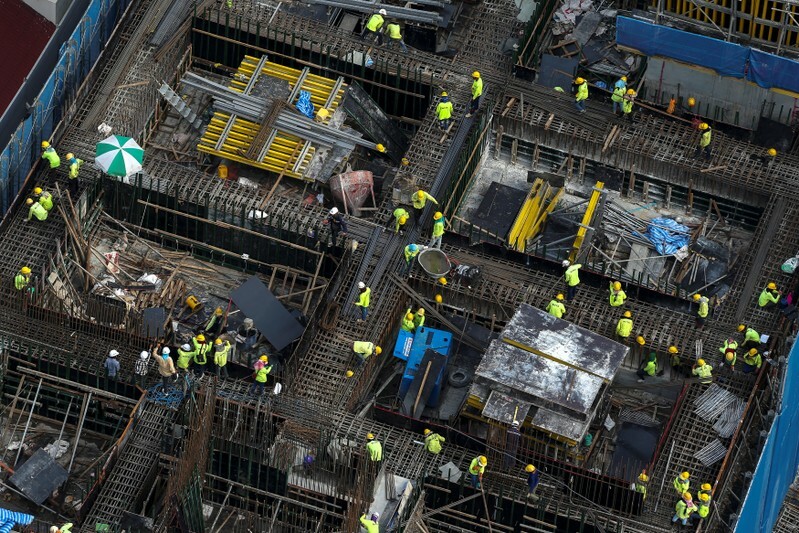 The picture was less bullish in the euro zone as data on Thursday showed that activity in Germany’s manufacturing sector shrank for a fourth straight month in April. The euro fell against the dollar to as low as 1.1226, its lowest level in 1-1/2 weeks, after the worse-than-expected data from the Europe’s largest economy. The single currency was last up 0.1 percent against the U.S. dollar at $1.1242, up 0.1 percent on the day. In contrast, the weak European data pushed the yen higher to its one-week high of 111.765 yen at one point on late Thursday. The yen last stood at 111.935 yen to the dollar, within the recent narrow range. The release of Special Counsel Robert Mueller’s report on Russia’s role in the 2016 U.S. election had little impact on markets. (Reuters) – Hyundai Motor Co has named Jose Munoz – previously seen as an ally of Nissan Motor’s ousted chairman Carlos Ghosn and his potential successor as CEO – as global chief operating officer and head of operations in the Americas. 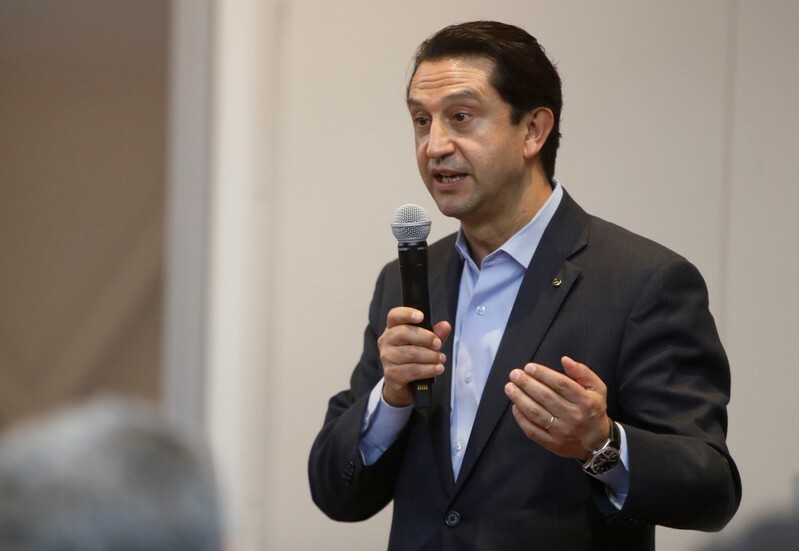 Munoz was cited as a “person of interest” in Nissan’s widening internal investigation into corporate governance following Ghosn’s arrest on suspicion of financial misconduct. Ghosn denies wrongdoing while Munoz has not commented publicly on the matter. Munoz resigned from Nissan in January having been chief performance officer and head of the Japanese automaker’s China operations. He previously oversaw Nissan’s North American operations. The appointment marks the latest management shake-up at Hyundai’s U.S. operations as the South Korean automaker pushes to rejuvenate sales in the world’s second-biggest auto market and grapples with a widening probe into its vehicle recalls. Munoz will take over from William Lee, who has been in charge of Hyundai’s North America business since June. From May 1, he will effectively assume two newly created positions – Global Chief Operating Officer and Head of Hyundai Motor Americas Region. “(Munoz’s) focus will be to deliver profitable growth and to improve overall performance of Hyundai Motor,” the company said in a statement issued on Thursday in the United States. He will be based in California and report to “top leadership” in Seoul, Hyundai said. The appointment marks the latest foreign executive to be brought in to an automaker dominated by South Korean lifers, under group heir-apparent and Executive Vice Chairman Euisun Chung. Munoz, 53, joined Nissan in 2004 in Europe and led its expansion in North America after the global financial crisis. Since then, Nissan has raised its market share in the United States and posted record sales. Hyundai was an outperformer during the 2009 global economic downturn but has seen its market share slip in recent years, hit by its delayed response to growing sport utility vehicle demand. The automaker has been recovering slowly, with its U.S. sales rising 2 percent in January-March period from a year prior. NEW YORK (Reuters) – Next week will go a long way in determining whether investors should be concerned about the dawning of an earnings recession or whether back-to-back quarters of negative growth can be avoided in what is the heaviest week for profit reporting by U.S. companies. A wide swath of S&P 500 sectors are scheduled to report next week, with 155 companies representing over $9 trillion in market capitalization in the queue, more than 35 percent of the total for the index. Heavy hitters Facebook and Amazon are due to report as well as a dozen Dow components such as United Technologies, Coca-Cola, Microsoft and Exxon Mobil. “The focus is going to continue to be on earnings and what the message is and so far the message hasn’t been that great,” said Ken Polcari, managing principal at Butcher Joseph Asset Management in New York. Refinitiv data shows analysts expect the first year-over-year earnings decline since 2016. As of Thursday morning, they see profits declining 1.7%. Rapidly sliding expectations for second-quarter profit growth have sparked concerns about an earnings recession. Right now estimates are for growth of 2.1% in the second quarter, down from the 6.5% increase at the start of the year and 9.2% on Oct 1. “That is the big question hanging over this thing, is this really an earnings recession?” said Kim Forrest, chief investment officer at Bokeh Capital Partners in Pittsburgh. Forrest said that while some companies have been able to hold the line on earnings due to their ability to control costs, investors would rather see earnings growing on consumer strength. Refinitiv data show 77 S&P 500 companies have reported, with 77.9% topping expectations, compared to the 65% beat rate since 1994 and the 76% over the past four quarters. But in a recent note to clients, Morgan Stanley U.S. equity strategist Michael Wilson said that while companies are likely to beat “the significantly lowered bar” for the first quarter, they believe it won’t be the trough for the year. Wilson noted with the S&P 500 now near the top of their valuation range with a forward price-to-earnings ratio of 16.8, there is not much upside remaining without a resurgence in growth that the market currently anticipates. That return to growth has also been cast into doubt by the less than enthusiastic picture being painted by corporate outlooks. The current ratio of negative to positive preannouncements stands at 2.7, well above the 1.5 average over the past four quarters but in line with the long-term average dating to 1997. And while that number is elevated over the past year, some view last year’s results as being positively affected by tax reform and at a level that is unsustainable this year. 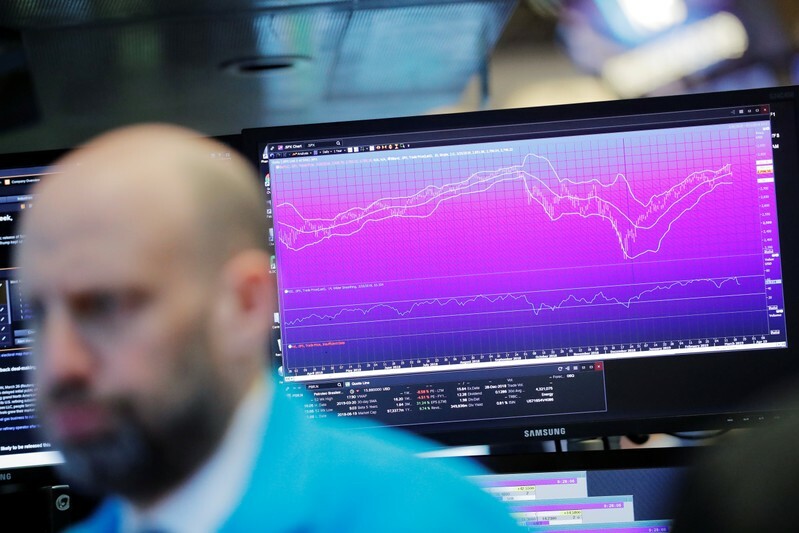 “It is just a return to the normal, what we are used to seeing, in this quarter,” said Lindsey Bell, investment strategist at CFRA Research in New York. Should results next week push earnings season further towards an earnings recession, that may still not derail the market, which was able to recover from the last one in 2016 that was fueled in part by worries about a China slowdown. “Even if we were to get an earnings recession, to me that is not the end of the world, because comparisons are so strong from the year before and we’ve been through earnings recessions before and recovered,” said David Joy, chief market strategist at Ameriprise Financial in Boston. 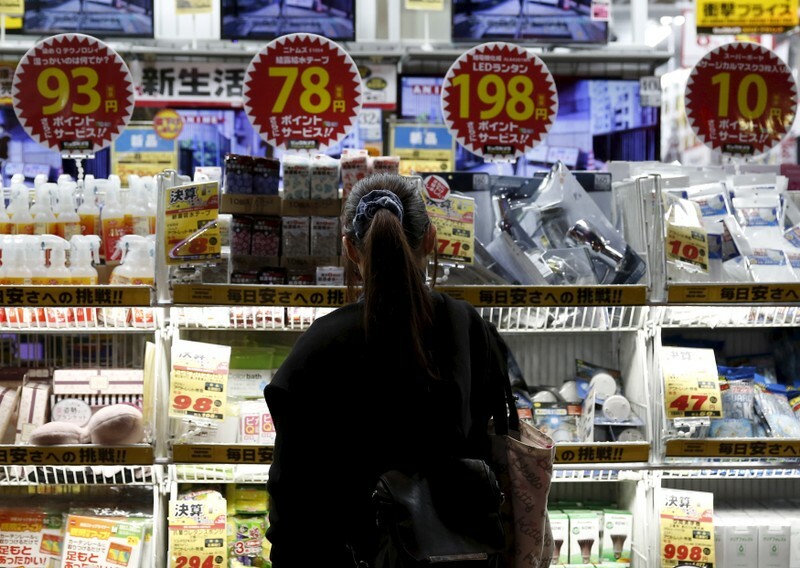 TOKYO (Reuters) – Japan’s core inflation picked up slightly in March from a year earlier, but remained distant from the Bank of Japan’s ambitious 2 percent target in a sign of rising pressure on the central bank. Over the past year, policymakers have had to contend with a slowdown in global demand as the Sino-U.S. tariff war put a dent on world trade and hit Japanese exporters. This has made the Bank of Japan’s task of generating inflation even more difficult. Data on Friday showed a 0.8 percent increase in the nationwide core consumer price index (CPI), which includes oil products but excludes volatile fresh food costs, compared with a median market forecast of 0.7 percent. In February, annual core consumer inflation hit 0.7 percent. An index the BOJ focuses on – the so-called core-core CPI that strips away the effect of both volatile food and energy costs – rose 0.4 percent in March, matching the annual increase in February. The central bank is in a bind. Years of heavy money printing have dried up bond market liquidity and hurt commercial banks’ profits, stoking concerns that its massive easing program is not sustainable. Subdued inflation has left the BOJ well behind its counterparts in dialing back stimulus, including the United States where monetary policy had a bigger impact. Some economists also argue the BOJ has little ammunition left to fight another serious economic downturn. There is also a growing view in markets that core consumer inflation may grind to a halt in coming months as recent oil price falls push down gas and electricity bills. Such a scenario could put the central bank under pressure to come up with some measures to buoy prices. The BOJ is expected to forecast next week that inflation will remain below its target through the fiscal year that ends in March 2022, sources say. 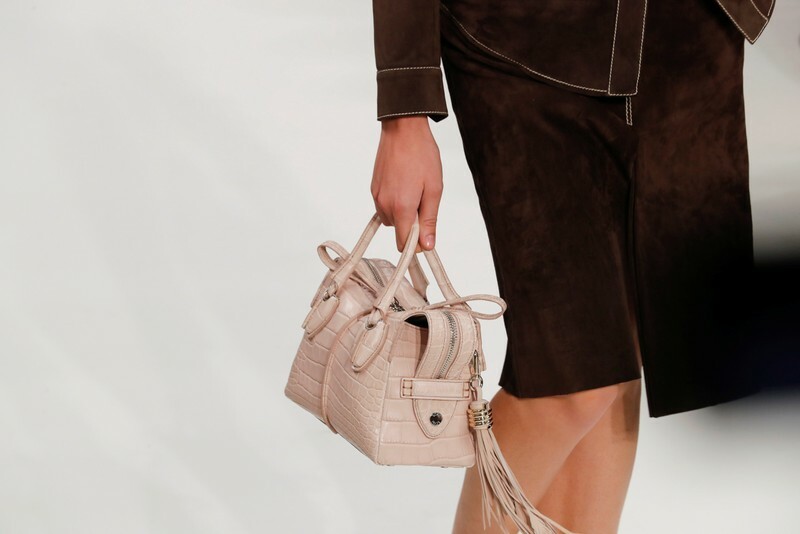 SANT’ELPIDIO A MARE, Italy (Reuters) – Turnaround efforts at Italian luxury group Tod’s are starting to bear fruit with e-commerce sales growing at a “high-double digit” pace, owner and Chief Executive Diego Della Valle told shareholders on Thursday. The shoes and leather goods company, famous for its Gommino loafers, has been struggling to revive the appeal of its brands to attract younger luxury shoppers, focusing on digital and more frequent collections and collaborations. “Our recipe is known and unchanged. We want to keep our long-standing consumers and attract millennials,” Della Valle, who is also Tod’s chairman, said. He added the company, which launched a new business model in late 2017 to reverse falling sales and refresh its namesake brand, could have moved earlier to tackle issues. “But we’re doing what is needed”, he said listing among actions taken a management reshuffle that led to the appointment of a joint-CEO which Della Valle said was working out well. Online sales, which account for 7 percent of total revenue, are growing at a “high double digit” pace and the firm hopes they will keep expanding at this rhythm in one or 1-1/2 years’ time so that the contribution to group sales can become more sizeable, Della Valle said. To complement the online expansion in line with current multi-channel consumer trends, Tod’s is also planning to open a new flagship store on Milan’s famed Montenapoleone fashion street in a month. Della Valle said disappointing quarterly earnings were the result of a push to “achieve sustainable results quite quickly”. The company, which has fallen short of market expectations in recent years, has said 2019 will be another “year of transition” in terms of profitability. The Della Valle family has been gradually increasing its stake in Tod’s as a sign of confidence in the company of which it now owns 63 percent. “I’m happy where I am,” Della Valle said when asked about his role at the company.